We believe in the Power of an Exceptional Meal and a Flawless Event! Corporate Events – Business Breakfasts, Lunches, Dinners & Cocktail Parties, Company Picnics, Employee Appreciations, VIP Visits, Open Houses & Holiday Parties. Social Events – Fundraisers, Bar and & Mitzvahs, Anniversaries, Birthdays, Bridal & Baby Showers, Family Reunions, Cocktail Parties, Holiday Dinners, BBQ’s & Memorial Services. Wedding Occasions – Rehearsal Dinners, Bridal Showers and Bachelor Parties, Welcome Receptions, Farewell Brunch, Cocktail Receptions, Engagement Parties, and Wedding Celebrations. Themed Events – Let us customize your menu, décor, and entertainment to fit your theme. Looking for a venue with an ocean view, a private garden estate or a casual park? 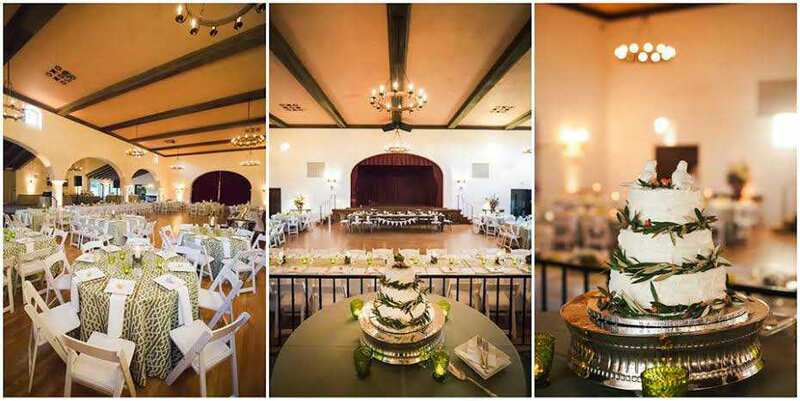 Catering Connection will help find the perfect setting for your next event. We are familiar with all the available locations, estates and parks in Santa Barbara, Santa Ynez, Ojai and Ventura County. View our full list of locations and venues. As each event is unique, we specialize in customizing a menu to suit your needs or theme. Visit our Menus page or call us for a complimentary consultation and let us create a menu using locally grown produce for your next special occasion. At your event, our event planning manager is on-site to make sure that everything goes smoothly. Our professional wait staff and bartenders are available to tend your guest’s needs. We estimate the number of staff needed based on your venue, guest count, and menu. As part of our service, we coordinate the rental of linens, tables, place settings, or anything else you may need for your event at direct cost from the rental company. We customize the order to suit your menu and location. Catering Connection provides platters and buffet equipment at no extra cost. See rental services here. We are more than happy to help assist you in coordinating the following services for your event. Check out our preferred vendor list for details on some of Santa Barbara’s finest event professionals. A full-service bar can be arranged or you can supply your own beverages and we will supply the bartender and bar equipment. Catering Connection is not licensed to sell alcoholic beverages, however, we are insured to pour. We do not charge a corkage fee. We welcome the opportunity to provide a food tasting to our clients. Tastings are complimentary for two guests and are based on menu choices made by the client during the planning process. An estimated guest count is determined during the event planning booking process and is adjusted when we receive your final guest count. To ensure perfect planning, we need the final guest count at least 5 days prior to the event. Staffing and rentals are based on this final guest count. You will receive a written contract based on the personalized menu proposal, estimated rentals, and other services. We require a non-refundable deposit to secure the date for your event. The final price is adjusted when we receive the final guest count.